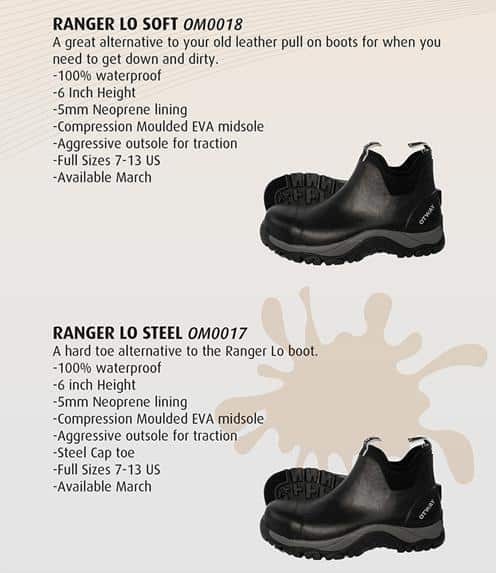 Just bought a great new pair of wet weather pull-on boots, Otway Ranger Lo Soft (Toe) @ $75 from Scotts, Traralgon. I have just been around the lambs on the (steep) hill and can report that they have excellent grip on wet, clayey grass and are totally waterproof in 2” deep puddles. These are a (very comfortable) rubber boot with neoprene lining (for winter insulation).